Password management platform Dashlane recently released an update that will give organizations more control over accounts that need to be shared across team members. 1) Sharing Center, a dashboard that displays all of a user’s accounts synched with Dashlane. It enables them to share the passwords with others, automatically informing all users when a shared password changes. From the Sharing Center, users can also manage access levels, giving others full rights or limited rights to the password. 2) Emergency Contacts gives users the ability to provide a trusted emergency contact with access to select accounts in case of emergency. 3) View Password History gives users a comprehensive view of all of the passwords they have previously held in Dashlane. In addition to the new sharing functionality, it is also releasing an upgrade to its user interface. Dashlane was founded in 2009. At FinovateEurope 2013 it demoed how its online and mobile interfaces make online transactions easier and faster. PaySimple to enable SMBs to accept payments and automate billing under Zen Planner’s software solution. Dashlane launches password management for teams. Top Image Systems acquires eGistics for $18 million. Top Image Systems partners with K2 to blend capture and mobile imaging technology with BPM. On Deck reports $3.4 billion, $22K job impact on economy courtesy of its small business lending platform. Eurasian Bank to deploy mobile banking technology developed by Monitise Create. MasterCard launches MasterPass in Singapore. Forbes features Xero, looks at why it will keep growing. shows TouchID login example using Mint app in iOS 8 demo. Dashlane reaches two million users milestone. Starting the week’s fintech news with a bang is password management innovator, Dashlane. The company, which was recently highlighted by the Wall Street Journal’s Personal Technology column as “the best way to manage online passwords,” announced that it had raised $22 million in funding. The major infusion of capital represents the company’s biggest single investment to date, and takes the company’s total funding to $30 million. For the most part, the new investment comes courtesy of a new investor, Bessemer Venture Partners, who led the Series B round along with current investors, FirstMark Capital, Rho Ventures, and Dashlane co-founder Bernard Liautaud. Dashlane reportedly will use the capital to bring on more talent and to explore other product possibilities related to identity management and payments, as well as to assist in expansion into both Latin America and Asia. Available on both PC and Mac, as well as on iOS and Android, Dashlane’s technology is renowned for its ability to help consumers store and manage passwords. Additionally, Dashlane also enables secure storage of credit card and ID information, provides automatic password generation, tools to test password strength, smart autofill, and alerts to let users know of possible security breaches to their online accounts. As noted in Mashable’s report of the Dashlane funding, the company saw a surge of interest in its soutions shortly after the panic over the Heartbleed bug broke out earlier this year. Emmanuel said that although there was a spike in interest (and one that has “died down”), the company continues its rapid growth. And as a testament to this growth, Dashlane also has announced that it has surpassed 2 million users of its platform, enabling more than $1 billion in transactions. Founded in 2009 and based in New York City, Dashlane demoed the instant login and checkout features of its technology at FinovateFall 2012. See a video of the company’s presentation here. Geezeo announces HTML5-inspired redesign of mobile PFM app. Dashlane raises $22 million; announces 2 million users, $1 billion in transactions enabled. Raymond James Bank N.A. chooses Fiserv for extensive enterprise banking. MasterCard to acquire Indian payments processor, ElectraCard Services, for undisclosed amount. (MBaaS) to reduce the cost and complexity of building enterprise mobile apps. CaixaBank taps Oracle for strategic Big Data project. Boku announces partnership with SingTel to bring carrier billing-based mobile payments to Singapore. Forbes profiles Ping Identity and its CEO Andre Durand. The Sunday Times features peer-to-peer lender, Zopa. Mobiliti from Fiserv named Top Customizable Solution in Javelin Strategy & Research Annual Mobile Banking Vendor Scorecard. Fiserv’s Mobiliti platform received 4 Best in Class distinctions in CEB TowerGroup global mobile technology analysis. Dashlane speaks Spanish, supports IE11, and more. Kabbage launches iPhone app out of test market. PC Mag includes Dashlane on list of the 50 best free iPhone apps of 2013. 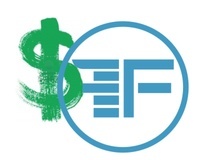 Financeit brings in $13 million in series A funding. TSYS Director of Innovation Chris Colson talks about the launch of their Idea Center. Intuit launches Apps.com, a small business app store, and an updated QuickBooks Online API. FIS to power Bharatiya Mahila Bank Ltd., the first women-focused public sector bank in India. Fiserv wins top honors at Mobile Money Global and Mobile Excellence Awards with Popmoney P2P payments service. TechCrunch reports that Google Wallet customers will soon have the option of physical, prepaid Wallet cards.